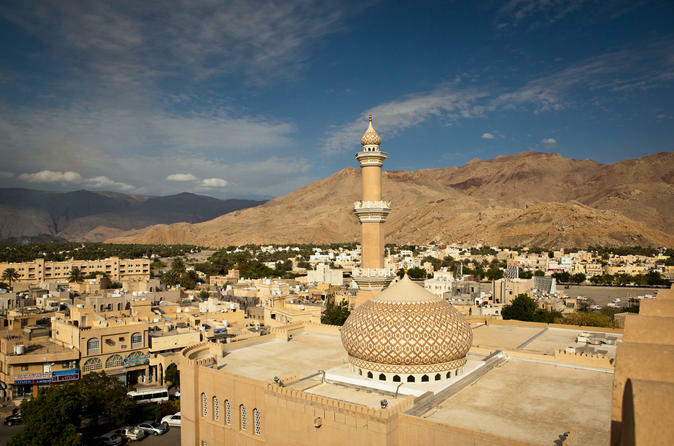 The tour starts with a spectacular drive through the Hajar mountains via the oases of Fanjah and Birkat Al Mauz, to reach Nizwa and the impressive 17th century fort. 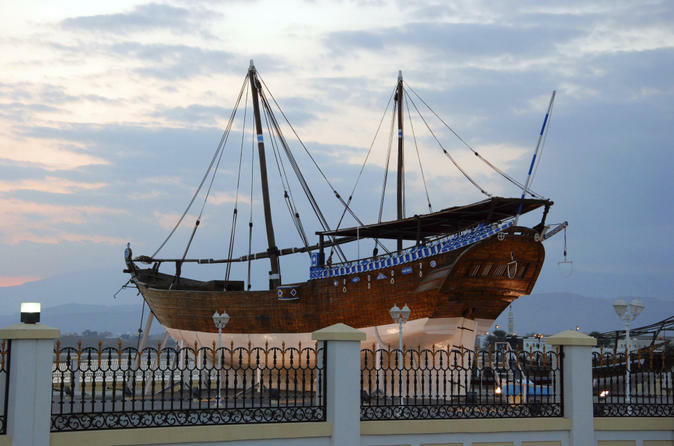 Sail along Oman’s spectacular coast on a wooden 'dhow,' an Arabian sail boat, on this 2-hour sunset cruise from Muscat! Settle on the cushion-covered deck of your vessel and enjoy the scenery and cooling sea breezes. Cruise past sleepy villages and medieval forts, and see Muttrah’s Corniche, old Muscat harbor and the Al Bustan Palace in all their glory. As the last rays of sun illuminate the landscapes, relish the views one last time as you sail back to port. Unlimited bottled water and sodas are provided on board. 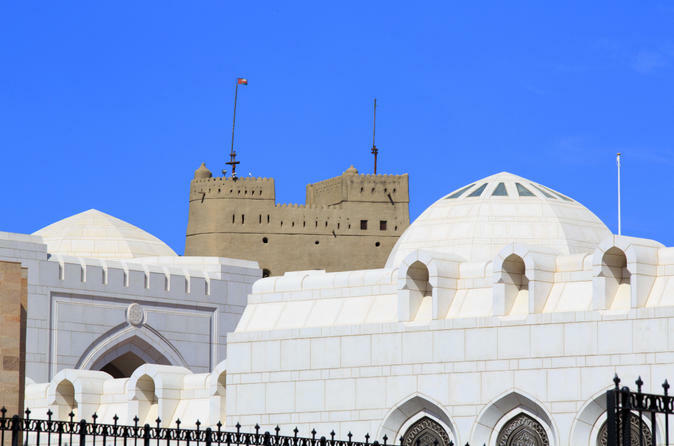 A night tour across the town of Muscat to see the major highlights, including Sultan Qaboos Grand Mosque, The Old Town of Muttrah and The Old Town of Muscat. 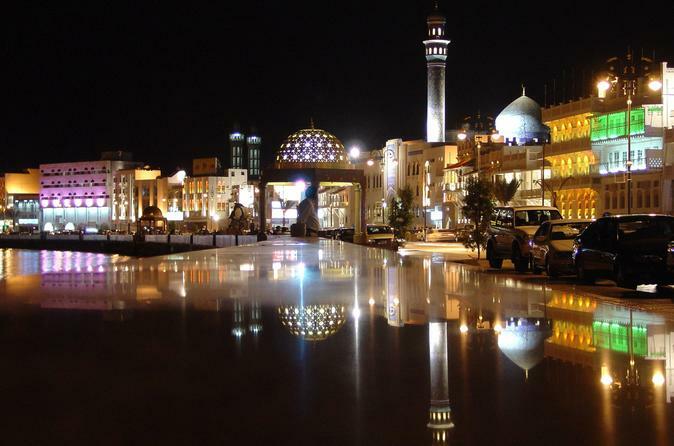 Explore alongside a local, experienced travel guide who is fluent in English and Arabic. Then, enjoy a nice Omani dinner. 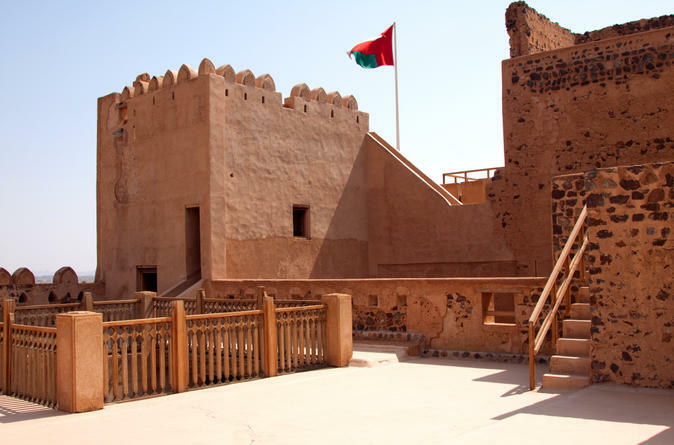 Leave the Port of Muscat with a private guide and spend a day discovering enchanting Omani fortresses around the historical town of Nizwa. 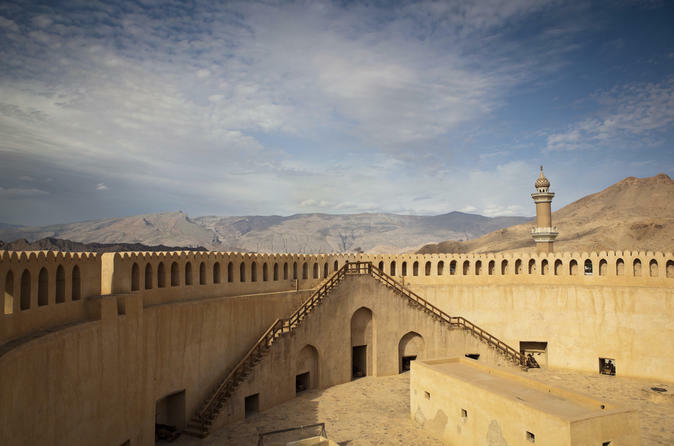 Pass through the Hajar Mountains, and explore Nizwa, seeing the 17th-century Nizwa Fort as well as Nizwa Souk. 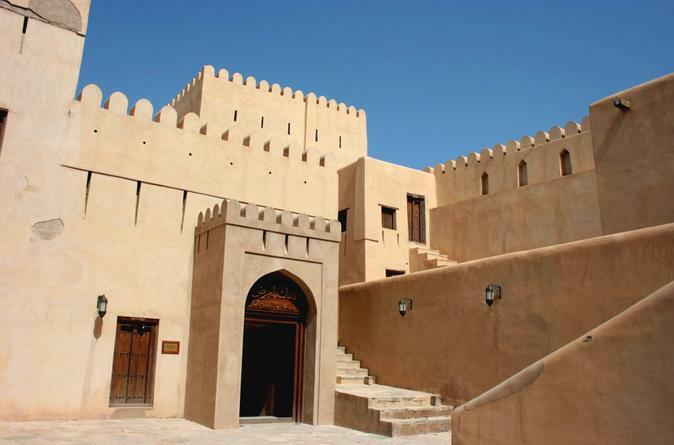 The afternoon is spent in the nearby town of Jabrin for a visit to Jabrin Castle. You'll explore its beautifully preserved vaults and hidden rooms before returning to port. 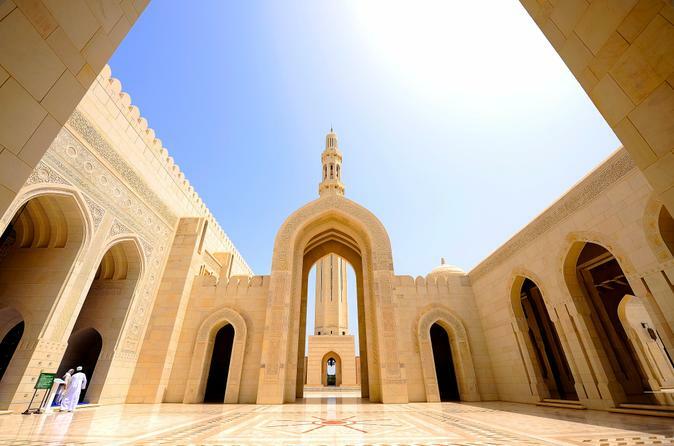 Visit Qaboos Grand Mosque, Nizwa Fort and Souq, Wadi Ghul, Jebel Shams, Al Hamra and Misfah Al Abreen. 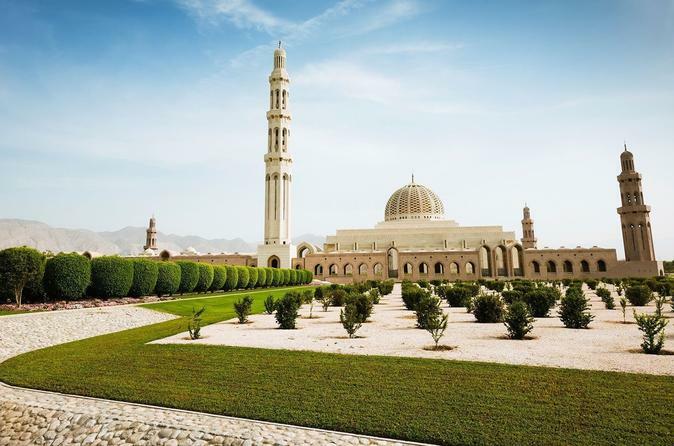 Depart Muscat to visit Qaboos Grand Mosque, Bahla Fort, Jabreen Castle, Nizwa Fort and Souq. 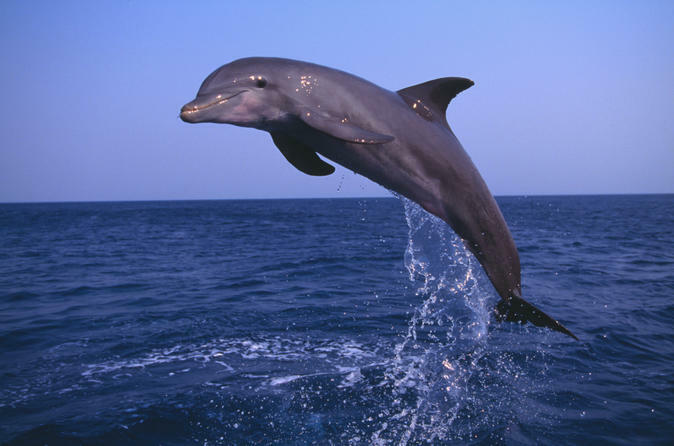 Watch for dolphins and discover undersea Oman on this relaxing 3-hour boat trip from Muscat. Board a fiberglass boat and sail into the Gulf of Oman in search of the wild spinner, bottlenose and common dolphins that make its waters their home. Marvel at the grace of these mammals in their natural habitat, and learn more about their behaviours as you watch and sail. Lastly, enjoy a snorkel stop at one of Oman's beautiful bays, drifting around coral reefs and exotic fish. Numbers limited to four people, ensuring a small-group experience.